New Delhi, 13 November 2018: Negotiations for the Regional Comprehensive Economic Partnership (RCEP) free-trade agreement have reached a crucial stage as ministers and leaders from member countries gather in Singapore this week to continue hammering out this multilateral deal. The agreement is being negotiated among 16 countries, comprising 10 ASEAN countries (Brunei, Cambodia, Indonesia, Laos, Malaysia, Myanmar, Philippines, Singapore, Thailand and Vietnam) and trading partners Australia, China, India, Japan, Korea and New Zealand. 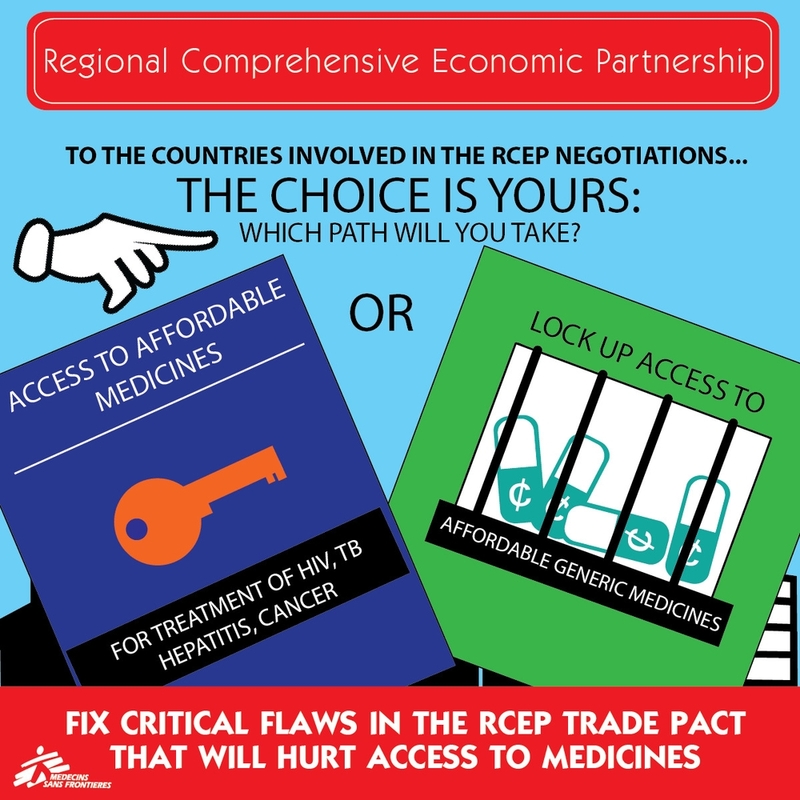 The 16 RCEP member countries are home to nearly half of the global population. Two countries – Japan and South Korea – continue to push India and the ten member states of ASEAN to agree to intellectual property (IP) provisions that expand and introduce new monopolies for pharmaceutical corporations, including data exclusivity, patent term extension, and stringent IP enforcement, which would undermine the generic competition that is critical for lowering medicines prices. 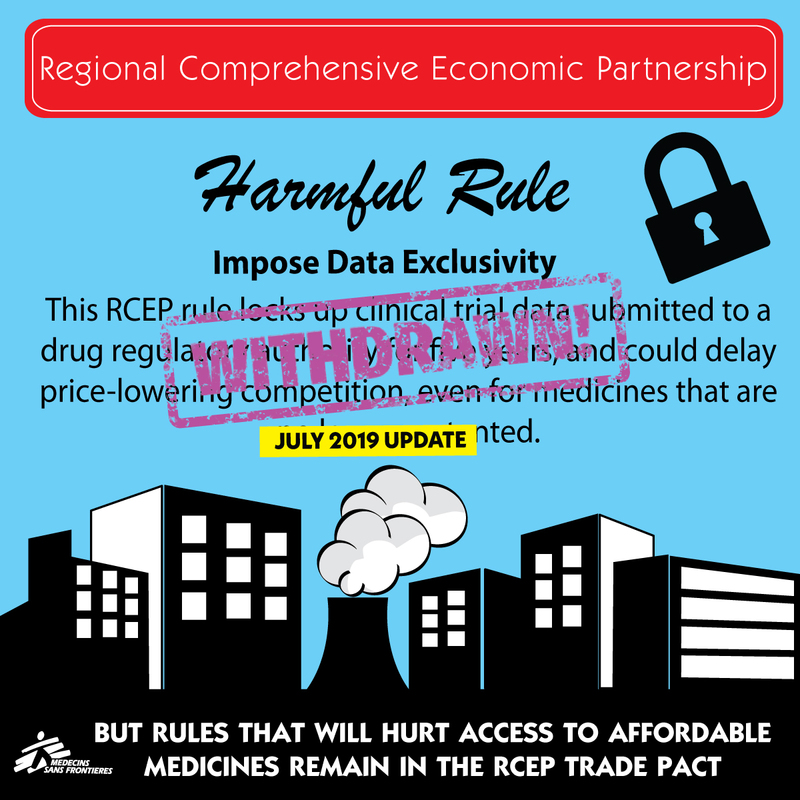 Ahead of the 7th RCEP Ministerial Meeting in Singapore, civil society organisations from India advocating for access to affordable medicines have submitted a letter to Union Commerce Minister Mr Suresh Prabhu, with a request to reject harmful IP provisions that would undermine the right to health in India and contribute to the ongoing crisis of spiralling medicine prices. 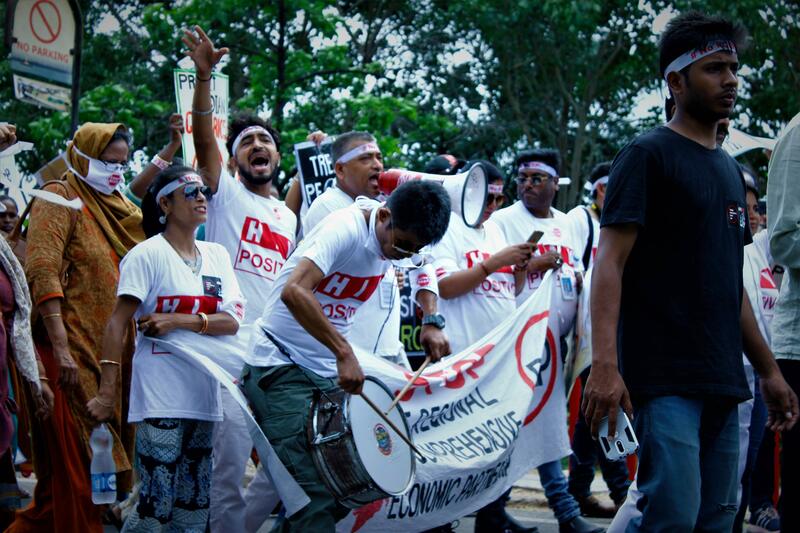 “It is being said that RCEP negotiations aim at achieving a high-quality and mutually beneficial economic partnership agreement. But how can an agreement be high-quality or beneficial if it adversely affects millions of lives across the world? 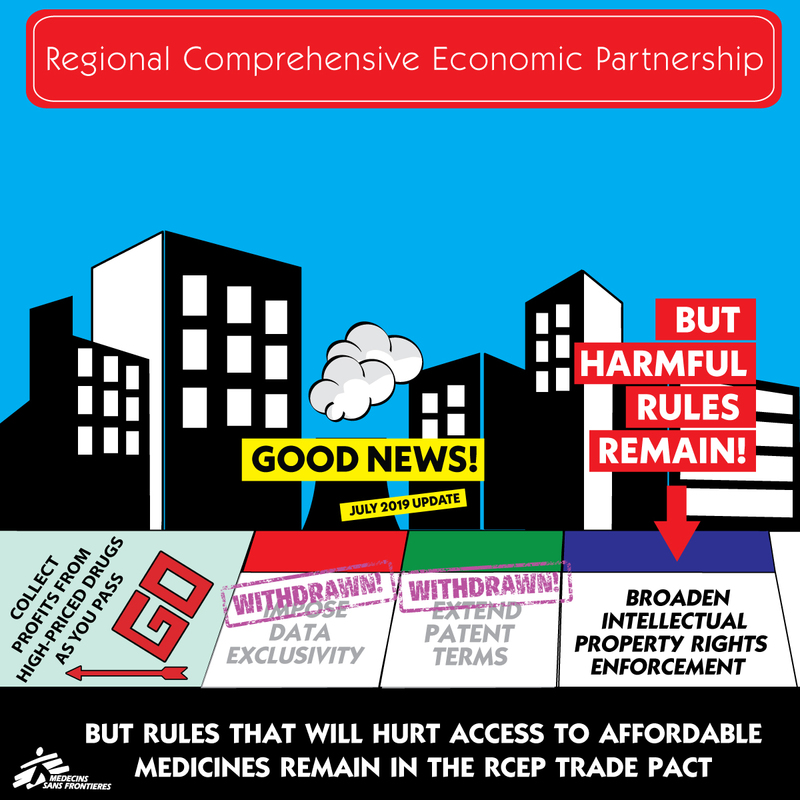 People in countries that have signed trade agreements with damaging intellectual property provisions that seek to extend monopolies for pharmaceutical corporations are already experiencing the negative impacts in the form of high medicines prices, delayed availability of affordable generic medicines and a weakening of public health safeguards in their patent systems. Despite constant pressure, India has managed to resist the inclusion of these provisions. 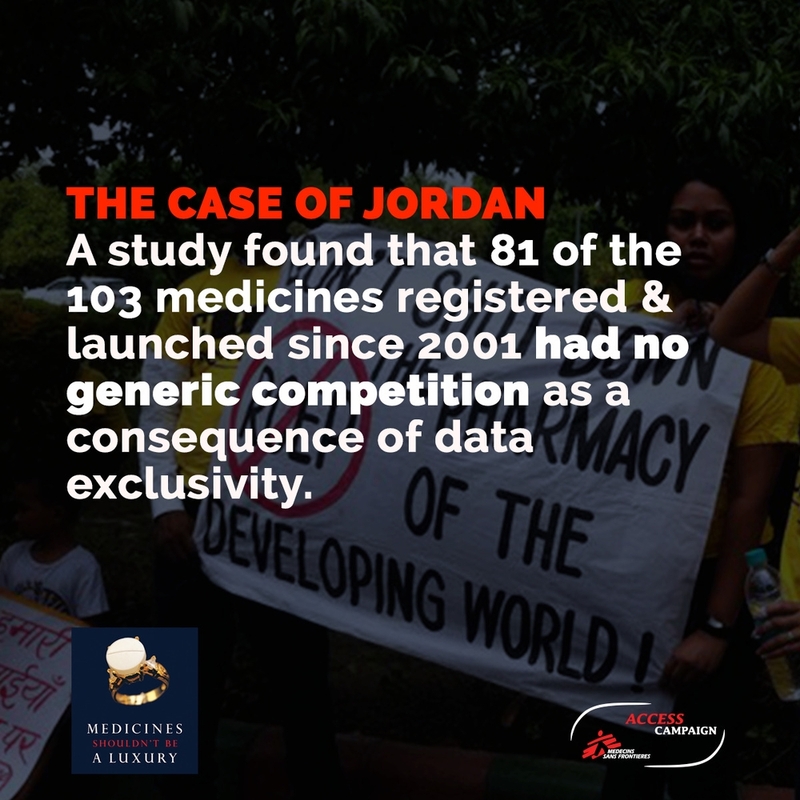 By safeguarding generic competition, the country has served as an important source of affordable generic medicines globally. 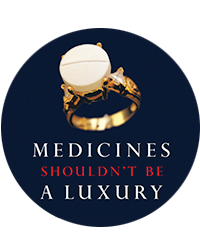 For instance, India’s rejection of a secondary patent for the cancer drug imatinib – in keeping with Indian patent law and World Trade Organization rules – allows the country to have the most affordable prices for this lifesaving cancer medicine internationally. 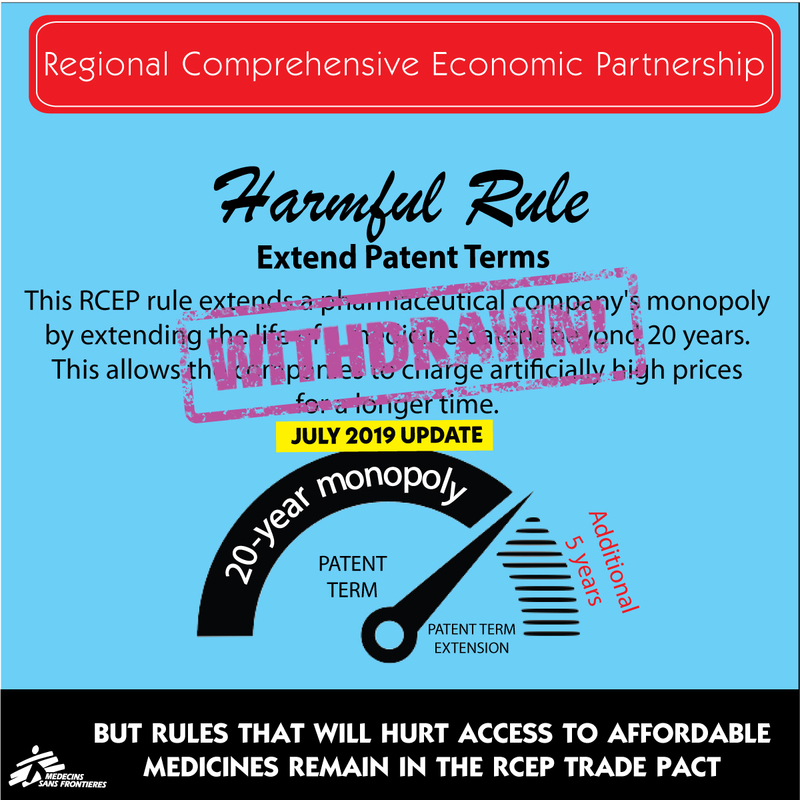 Meanwhile, many countries continue to struggle to provide the treatment due to extended monopolies obtained under their patent systems by Swiss pharmaceutical corporation Novartis.